The Second Half 50 yrs and Over Show | SparkOC.com - The happening place for Arts happenings in the O.C. As we grow older, the maturity and insight life has given us multiplies. The viewpoints and experiences that come with age are invaluable lessons to us all on how to live life – and live it well. This month we will celebrate the talent and wisdom of the artist over 50. 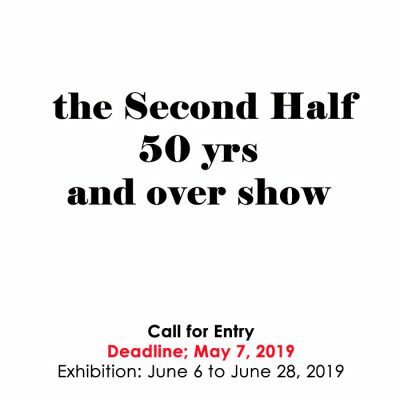 Las Laguna Gallery is now accepting original submissions of artwork by those 50 years of age and older. Works in Acrylic, Airbrush, Assemblage, Charcoal, Color Pencil, Collage, Digital Art, Drawings, Encaustic, Graphite, Fiber Arts, Illustration, Mixed Media, New Media, Oil, Other, Painting, Pastel, Photo, Traditional and Digital Photography, Textiles, Watercolor, and more will be considered.